Interviewing people is one of my favorite things about being a journalist. I love giving people a platform to share their expertise and messages. 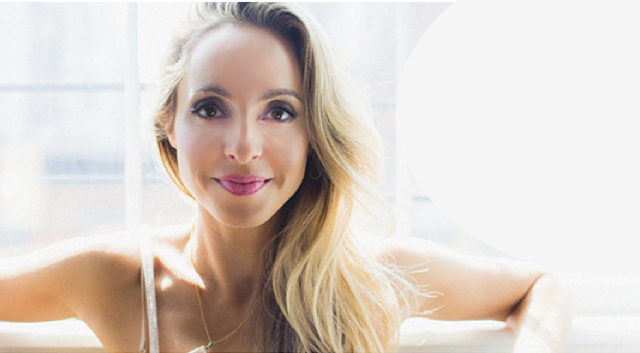 Recently, I interviewed Gabby Bernstein, my idol and as a fellow 'spirit junkie,' it's safe to say, mentor. If you follow my work, then you already know that meeting Gabby about two years ago over breakfast changed my life and sparked a personal spiritual journey. Here, she shares her message and more. As someone who swears by transcendental meditation, what intentions do you set in the morning before you meditate? My #1 intention for my TM meditation is to reduce stress and create energetic balance throughout the day. Congratulations on your partnership with Philosophy! It seems like a perfect alignment. Which “philosophy” of theirs do you most resonate with and why? “Live with optimism, renew hope." I absolutely love this philosophy. I believe that we must renew our optimism on a moment-to-moment basis. All throughout the day we are given many reasons to lean toward negativity and lose our faith and hope. Our renewed optimism keeps us connected to that hope and creates more flow in our life. You preach about miracles and Philosophy’s mission says, “to believe is to perceive the miraculous." What is a miracle and how can we experience them daily? A miracle is a shift in perception. The moment you choose to perceive your experience through the lens of love you receive a miracle. The way that we can experience miracles in our daily life, is to lean towards a loving perspective no matter what. That doesn’t mean that we don’t get upset or angry. But it means that we seek for love in all situations. What’s the best advice you’ve ever gotten and who was it from? Change the way you look at things and the things you look at change. - Wayne Dyer. Is there one lesson in ACIM that speaks louder to you than others? If so, what is it? The presence of fear is a sign that you’re relying on your own strength. My freedom to express myself.